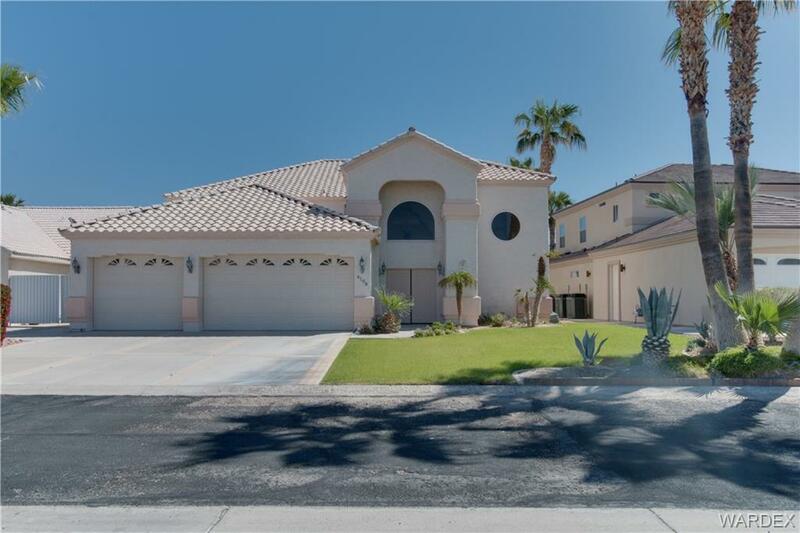 Immaculate Beautiful Two Story Home in Prestige Los Lagos Community. Spectacular Water Views from the Living & Dining Room, Kitchen, Master Bedroom and One Guest Room! Open, Bright and Spacious! Kitchen just updated with New Granite Counter Tops and Tile Back-splash.. Nice size Pantry with Glass Door. Unique Decorator Artwork over the Fireplace. Home has 3 Bedrooms / 3 Baths. Stairs lead up to the Private Master Bedroom and Bath with the most Amazing Water Views off the Balcony! Downstairs covered Patio area with Built-In Barbecue Area and steps that lead to the Water where you can launch your paddle boat. Three car Finished Garage with Extra Storage Cabinets and room for your Cars or Toys! Landscaped Front and Back Yard! This house has the WOW factor from the minute you enter! Community Amenities include a Pool & Jacuzzi, Tennis & Pickle Ball Courts, Work-Out Room, Library, Covered Gazebo and a Clubhouse with a Full Kitchen! Please call for private showing or more information on this Resort Style Home!